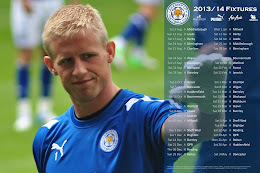 Leicester City will play Peterborough at home to kick-off their 2012/13 nPower Championship campaign. The Posh will be hosted at the King Power Stadium at 3pm on Saturday, 15th August - a full week later than the first game of last season. City will travel to Charlton Athletic the following Tuesday, 21st August (19:45) before a visit to Blackburn's Ewood Park the next weekend. The first derby takes place on Saturday, 10th November (15:00) when City host East Midlands rivals Nottingham Forest, with Derby County kicking-off the festive season with their fixture at the King Power Stadium on Saturday, 1st December (15:00). City will travel to Hull City on Boxing Day (15:00) before visiting Derby's Pride Park in mid-March (Saturday, 16th March; 15:00). The season is sure to close with fireworks as the Foxes travel to Forest's City Ground on the final day of the season, Saturday, 4th May (15:00).